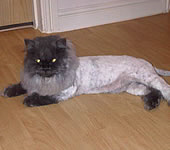 While my grooming services are mainly aimed at long haired cats across London, I can also provide my customers with a short haired grooming service. 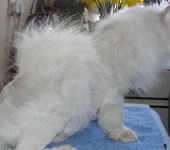 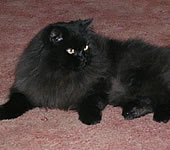 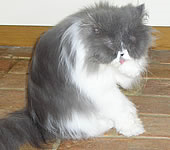 Compared to a long haired cat, short hairs need less maintenance but as you can see during the course of the year they need a certain amount of grooming. 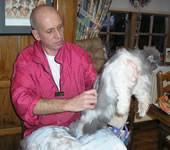 Throughout any aspect of grooming, the tolerance level of the cat varies and I am continually aware of the stress factor. 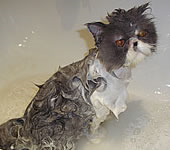 Therefore I make every effort to minimise trauma and distress. 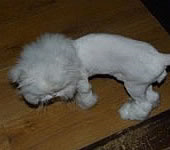 Here is a visual example of a short haired maintenance groom. 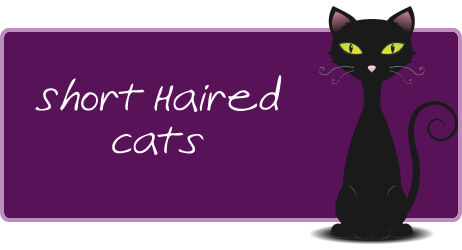 Unlike long haired cats, short haired ones are relatively easy to groom and normally only require regular brushing. 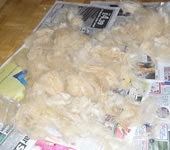 The entire body of hair is stripped out with a comb or a rake. 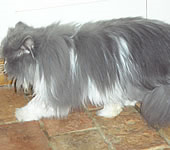 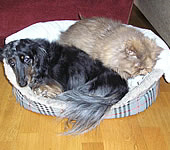 A dry or no rinse shampoo is applied and a coat conditioner. 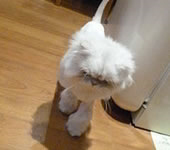 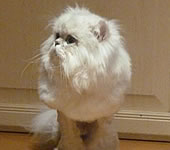 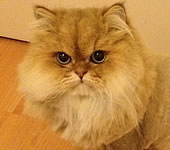 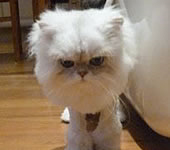 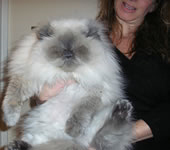 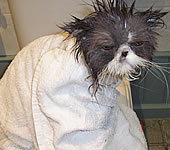 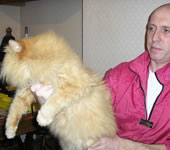 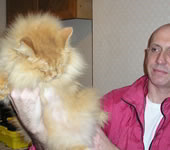 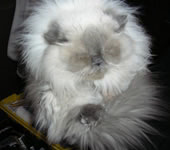 Once the grooming procedure has been completed, you will have a beautifully groomed and much happier cat. 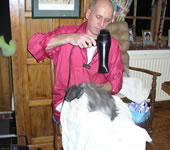 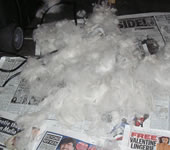 Based in East London, I provide my high quality radical clipping and grooming services to clients across the whole of London, including West Ham, Balham, Clapham, Islington, Barnet, Enfield, Kensington, Greenwich, Dagenham, Waltham, Hackney, Chigwell, Battersea, Dulwich and Wimbledon. 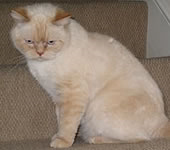 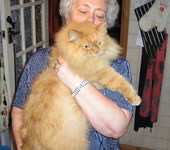 Having worked exclusively with cats for more than 20 years, I have carried out many grooming services on short haired cats, and especially on British Short Hairs which officially are a short haired breed, their coats can become extremely thick and cloggy. 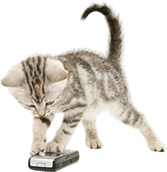 If you would like more information please contact me.